What is custom content? In short, it’s working in partnership with websites and media outlets to provide information that their audience will find useful. Much of this content is shared online and is often shared through social networks (Facebook, Twitter, etc.) so it can reach far and wide. You’ve probably seen some of it pop up in your social media feeds – it usually includes travel tips, top 10 lists, must-see places and more. Some of the information is provided by writers, and some content is provided by organizations. 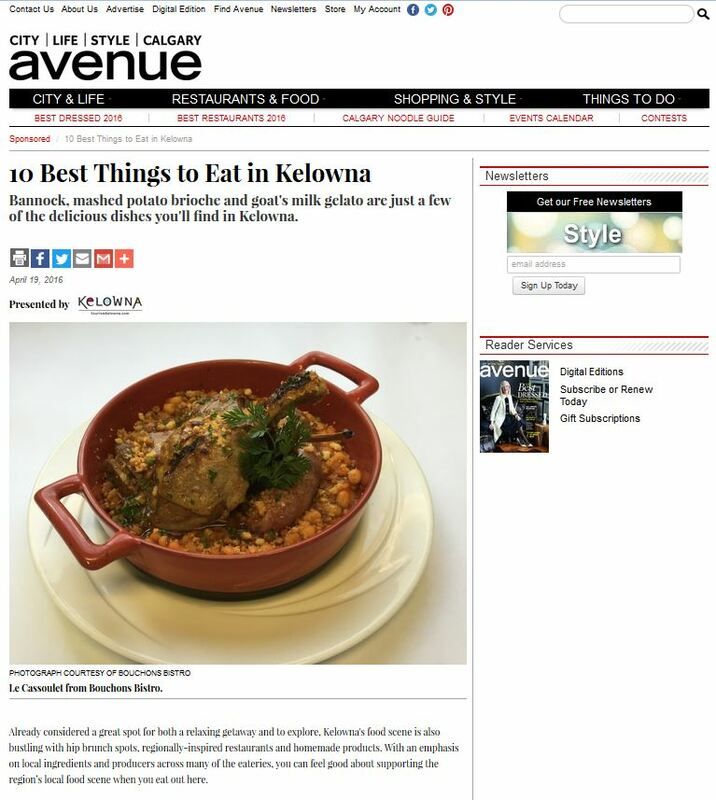 This is sponsored content, and Tourism Kelowna has been working to provide content to online publications to provide helpful tips for their audiences on where to eat, and what to see and do on their next trip to Kelowna. Last year, the content program was named one of the best branded content partnerships of 2015 by Marketing Magazine. You can read that story here. If you’ve got ideas, stories or feedback you’d love to share, let us know. 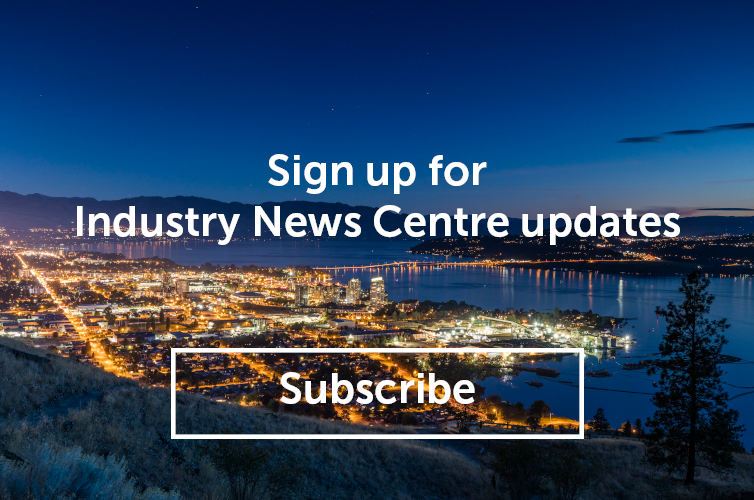 Shauna, Tourism Kelowna’s Marketing Manager, heads up this content partnership. You can reach her at shauna@tourismkelowna.com. 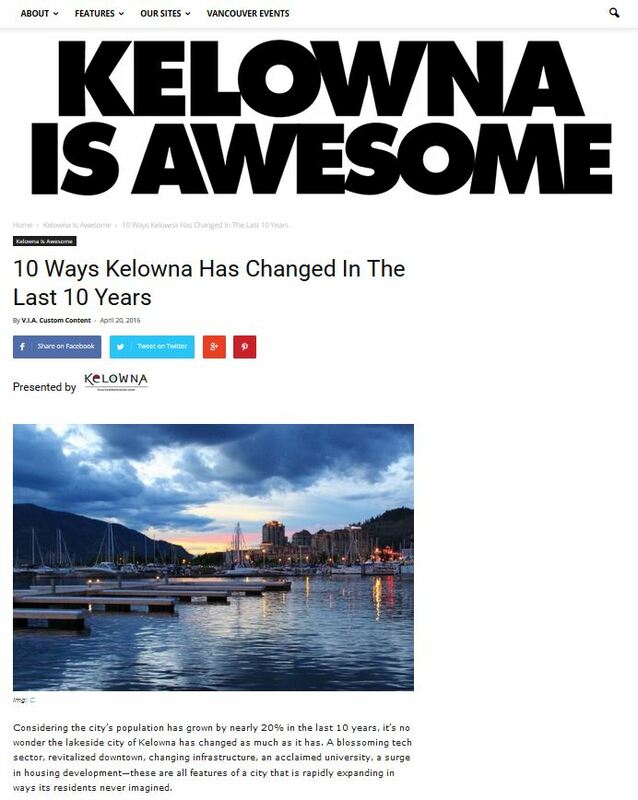 Next time you see a story about Kelowna that you like, feel free to share it with your friends and followers, too!